The 3-D printing market encompasses far more than printers, including design software and scanners. In fact, 3-D scanner sales are forecast to grow at a faster pace than printers over the next five years. I believe one company is overlooked and undervalued. That company is FARO Technologies (NASDAQ: FARO). Like 3D Systems, FARO Technologies achieved the honor of making the Forbes “America’s Fastest-Growing Tech Companies” list in 2008. FARO’s mission statement states that it is “the world’s most trusted source for 3-D measurement technology,” and that’s backed by a long client list. FARO has 15,000 customers operating more than 30,000 installations of the company’s 3-D scanning products. The company has an international footprint: Its 3-D scanners are used in the U.S., Brazil, Mexico, Germany, the U.K., France, Spain, Italy, Poland, Netherlands, India, China, Singapore, Malaysia, Vietnam, Thailand and Japan. As I mentioned, the 3-D scanning market is bigger than most people think: Currently, it is a larger global market than 3-D printing alone and will continue to be well into the future. 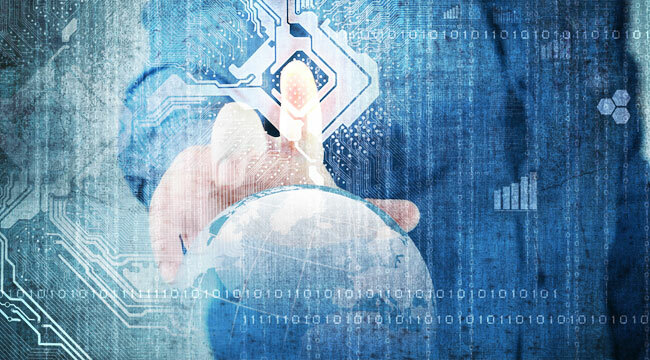 Industry analysts expect a 26.7% compound annual growth rate in 3-D scanning over the next five years. 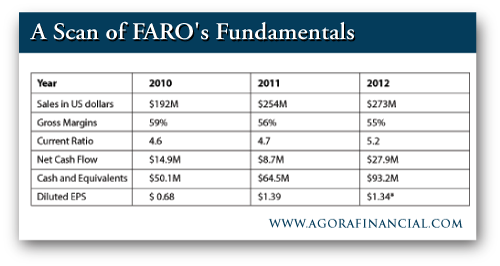 FARO serves both the consumer and industrial-scale markets. 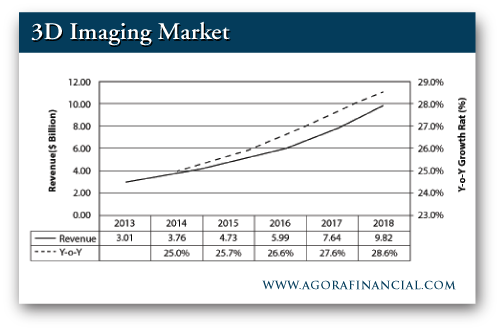 There is no company better experienced or positioned to grow market share in 3-D imaging than FARO technologies. Its products are able to scan objects, buildings, even a city block in detail and for its CAD inventory. Afterward, the manufacturing is limited only by the printer. FARO was founded in 1981 through the friendship of two self-proclaimed “techno-junkies” working on Ph.D.s in biomedical engineering that began developing technology and software to support advanced surgical and diagnostic methods. The company now develops and markets high-precision CAD measurement and imaging hardware and software that serves many industries. FARO’s technology also performs comparison of parts and compound structures within production and quality assurance processes. They have both a long history of innovation, and know how to stay on the cutting edge. 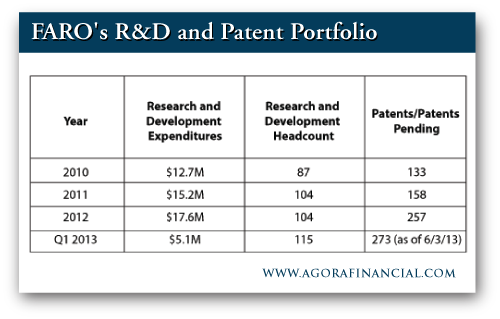 It stays ahead of the curve by continually reinvests in research and development as well as patent applications. This has allowed it to stay atop its industry. Among all of FARO’s innovations, the one most synergistic with 3-D printing is its SCENECT software launched in April. While it’s not exclusively geared toward 3-D printing, the software allows this as an end function. Its user-friendly features are designed to allow anyone the ability to scan. Any scans made by the device can be imported into CAD software, where they can be manipulated into a 3-D printing format file. SCENECT is an industrial-grade bridge from scan to print. In spite of a weak first quarter, the stock should prove to be a great buy now based on future plans to recruit sales and marketing staffers in the second part of the year. With a solid technological platform, a formidable intellectual property fortress and a well-stocked balance sheet, FARO has ample resources to reach that goal. All the talk about Russian tampering with the 2016 presidential election, which is vastly overstated by the way, diverts attention from the more fundamental problem: The vulnerability of America’s critical infrastructure to cyberattack by hostile actors.